Ortwin Renn directs the Stuttgart Research Center for Interdisciplinary Risk and Innovation Studies at the University of Stuttgart (ZIRIUS) and the non-profit company DIALOGIK, a research institute for the investigation of communication and participation processes in environmental policy making. Mr. Renn also serves as Adjunct Professor for “Integrated Risk Analysis” at Stavanger University (Norway) and as Affiliate Professor for “Risk Governance” at Beijing Normal University. 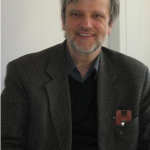 Ortwin Renn has a doctoral degree in social psychology from the University of Cologne. His career included teaching and research positions at the Juelich Nuclear Research Center, Clark University (Worcester, USA), the Swiss Institute of Technology (Zuerich) and the Center of Technology Assessment (Stuttgart). Among others he is a member of the Scientific Advisory Board of EU President Barroso, the Scientific and Technical Council of the International Risk Governance Council (IRGC) in Lausanne, the National Academy of Disaster Reduction and Emergency Management of the People’s Republic of China and the Risk Communication Advisory Committee of the European Food Safety Authority in Parma (Italy). His honours include an honorary doctorate from the Swiss Institute of Technology (ETH Zurich), an honorary affiliate professorship at the Technical University Munich, the “Distinguished Achievement Award” of the Society for Risk Analysis (SRA) and several best publication awards. In 2012 the German Federal Government awarded him the National Cross of Merit Order in recognition of his outstanding academic performance. Mr. Renn is primarily interested in risk governance, political participation and technology assessment. His has published more than 30 books and 250 articles, most prominently the monograph “Risk Governance” (Earthscan: London 2008).